In Kerala mortality rates for CAD (coronary artery disease), per 100,000 are 382 for men and 128 for women which is actually 3 to 6 times higher than Japanese and rural Chinese and also higher than other industrialized countries. In the 1960s and 70s, heart attack in the very young i.e. before the age of 40 was very uncommon in Kerala. Heart attack rate among men in this age group increased 40-fold by 1990 with at least 20% heart attacks occurring before age 40 and 50% before age 50. The high rates of premature heart disease in Kerala also results in a high economic burden as high as 20% of its state domestic product. There are more than 60% of the high income and more than 80% of low income people who hospitalized for heart attack, results in catastrophic health spending with 50% of these requiring distresses financing in Kerala. As the state named as ubiquitous coconut, prevalence of heart disease in rural Kerala is 7%, which is nearly double that of north India and parallel the high levels of cholesterol. The prevalence of risk factors is high even in rural Kerala: diabetes 20%, high blood pressure 42%, high cholesterol (>200mg/dl) 72%, smoking (42% in men) and obesity (body mass index >25) 40%, physical inactivity 41%, unhealthy alcohol consumption 13%. As per cancer registry data, in Kerala there are 974 female cancer and 913 male cancer patients per million. In one year, Kerala has roughly 35,000 new cancer cases occurs. In this 50% of cancers are in the throat, mouth and lungs in male & 15% in women caused by tobacco and alcohol habits. Actually in Kerala overall tobacco is responsible for 50% and diet for 10-20% of cancers. Breast cancer is the most common malignancy among the women in Kerala; about 30 to 35% is accounted by breast cancer. 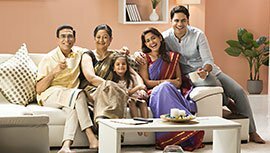 According to the data available with the Thiruvananthapuram Cancer Registry, the prevalence rate in rural areas is 19.8 per 100,000, while in the urban areas, it is 30.5 per 100,000. Because of the Kerala population eat more meat than rest of the Indian population so the incidence of colorectal cancer in Kerala is about 5.5/ 100,000. Also it leads to increased risk for large bowel cancer. Also, the incidence of thyroid and ovarian cancers is up among women in Kerala. Prostate cancer, the most common malignancy among men worldwide, is among the 10 leading cancers in Kerala. 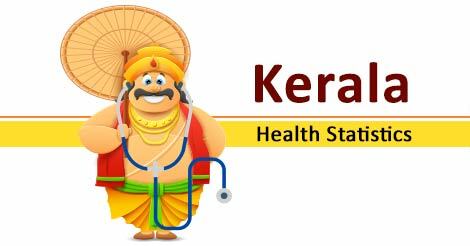 Kerala is known as diabetes capital of India as prevalence of diabetes is high i.e. 20% which is double the national average of 8%. As compared, the prevalence in Thiruvananthapuram was 17%, in Hyderabad & New Delhi 15%, in Nagpur 4% and in Dibrugarh 3%. Cardiovascular disease is the foremost killer of people with diabetes. 80% of diabetic patients die from heart disease. Only 40% of people with diabetes had adequate control of blood sugar. Among those with diagnosed diabetes, 17% received no treatment, 15% were on diet alone, and 68% were on medications. In Kerala, as compared to urban dwellers people from rural Kerala, paradoxically having higher rates of diabetes. In one large study the prevalence of diabetes was 19% in rural men and 22% in rural women compared to 12% in urban men and 17% in urban women. People from Kerala have the highest cholesterol level in India that ranges from 197 to 229mg/dl compared to 157 to 180mg/dl nationally. In Kerala, Virtually every dish including vegetables, fish and even meat and bread are prepared by coconut, meat, milk and oil. So total fat intake in Kerala is 30% of the energy with 70% of that (20% of daily energy) coming from saturated fat. All-Cause Mortality and Cardiovascular Mortality in Kerala State of India: Results from a 5-Year Follow-up of 161 942 Rural Community Dwelling Adults. Asia Pac J Public Health. May 10 2010. A regular health checkup is something one shouldn't avoid. It will help you to understand the current status of the body so that you can get proper medication. In Kerala, heart diseases have been the reason behind 14 % deaths as it can be avoided with preventive health checkup. Indus Health Plus offers the Essential Heart Checkup where the necessary tests regarding hearts will be performed. With this checkup, you can regulate your health. If you are looking for further information, fill up the form and get in touch with us. Our team will clear all the doubts regarding the preventive health checkup.